A currency symbol is a graphic symbol of a currency's name. A currency symbol is used to denote that a number reflects a monetary value. What is the ISO 4217 Standard? ISO 4217 by the 'International Organization for Standardization' is a standard started in 1978, which includes currency codes (alpha codes and numeric codes). The ISO 4217 list is widely used in banking and business on a global scale. Table: Popular Forex Currencies, along with ISO codes, and Symbols. Hedging is an investing strategy that creates an offsetting position of a particular trade in order to reduce or even to eliminate trading risk. Hedging helps traders to protect against high losses. Forex hedging is a tool used for reducing Risk when dealing in the Foreign Exchange market. By implementing a hedging strategy, a Forex trader that maintains holds a long position in a currency pair can be protected from the downside risk. On the contrary, a trader that maintains a short position in a currency pair can be protected against the upside risk. Hedging is costing money, so it eliminates risk but at the same time, it reduces the profit potential. In a way, hedging is like purchasing insurance against an unexpected future price movement. Most Forex Brokers provide the option to place directly a Hedge Order. That means that you are able to buy a Forex currency pair and at the same time to sell the same Forex pair. Profit can be made by picking the right timing to buy and sell. A strict Forex hedge means opening a short trading position and an equally long trading position simultaneously. In 2009, and as an effect of the Financial Crisis of 2008, the National Futures Association of the United States forbade this trading practice. Outside the US, traders can still execute this type of strategy by using pending orders. Forex trading is not a simple task as it requires multiple skills. It requires reliable providers, a trade-strategy, and a lot of practice and discipline when managing your trades. Here are some tips when trading Forex. First of all, you have to decide what type of trader you really are. Are you interesting in intraday trading or in swing trading? Are you willing to devote many hours for trading on a daily basis? What is your appetite for risk? 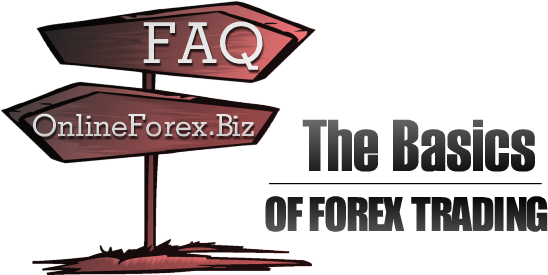 Do you plan to use a Forex robot or receive trading signals from external signal providers? All these questions will define your personal profile. a) What is the portion of your available capital that you are willing to risk? b) How much risk are you willing to accept? c) What is the annual portfolio performance that you are targeting? d) Will you need to withdraw a portion of your trading capital in the next few months? Forex trading is the procedure of buying and selling currencies in the world Foreign Exchange Market (Forex). Currencies in the Forex markets are traded in pairs in the form of GBP/USD. 2) Who Trades in the Forex Market?